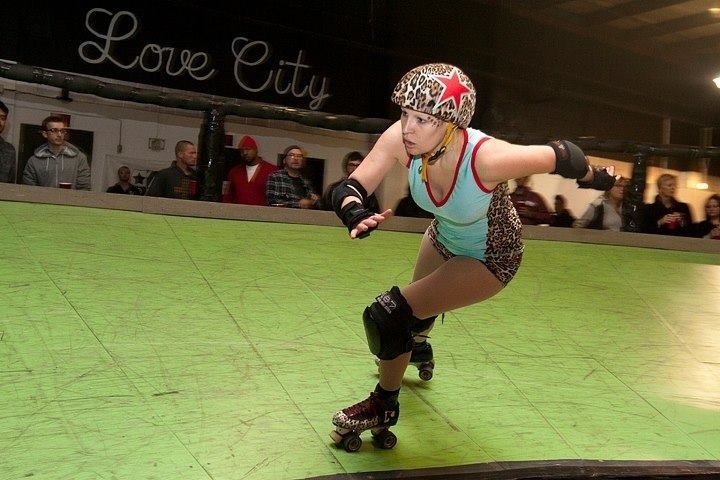 Deevious skated WFTDA for two years, Captained and started a league before finding out about another rule set, and then very happily traded to be able to play co-ed with her husband Bully. She played OSDA for two years with Man's Ruin Roller Derby out of Orange County, New York before making the switch to M.A.D.E. and trading to the Banked Track league Love City in Philadelphia.